accomodation for guests who prefer lodging on water. The attractions, the deep blue to azure to turquoise waters the recreation and relaxation all combine in Marathon for an incomparable tropical experience. 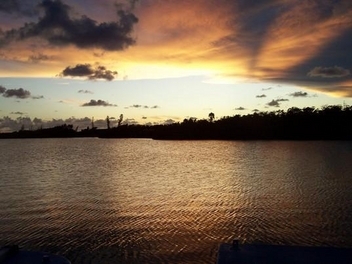 And at the end of your perfect days, don’t forget America’s most spectacular tropical sunsets! 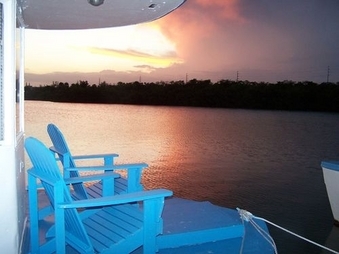 Relax on the deck of your own Boat and watch the Sunrise or Sunset in the Florida Keys!!! 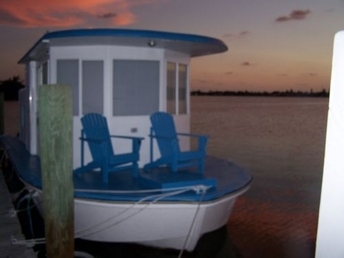 Private bathrooms with full showers, AC, refrigerators and cable television in all Floating Rooms enhance your self sufficiency and independence for the fullest Florida Keys experience.